If you followed my guide showing how to replace Windows XP with Lubuntu then you may be wondering what to do next. There are some post installation steps that are necessary in order to make Lubuntu useful. Some of these tasks are just general good practise and others are caused by bugs that have crept in. Here then are 5 things that you should do after installing Lubuntu. Before you can achieve numbers 2 and 3 on this list you need to be connected to the internet. Unfortunately the Lubuntu developers haven’t made this the easiest of tasks. There should be a little icon in the system notifications area (bottom right corner) that lets you set up and connect to wired and wireless networks but it just isn’t there in Lubuntu 14.04.
every time the computer starts press the menu icon in the bottom left corner and select “preferences -> default applications for LXSession”. 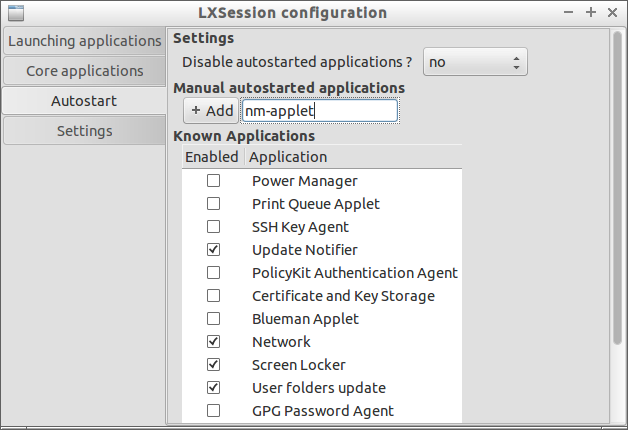 When the LXSession Configuration screen loads click on the “Autostart” option in the left pane. Now enter nm-applet into the “manual autostarted applications” and press “Add”. Reboot your computer and the network manager icon should appear. 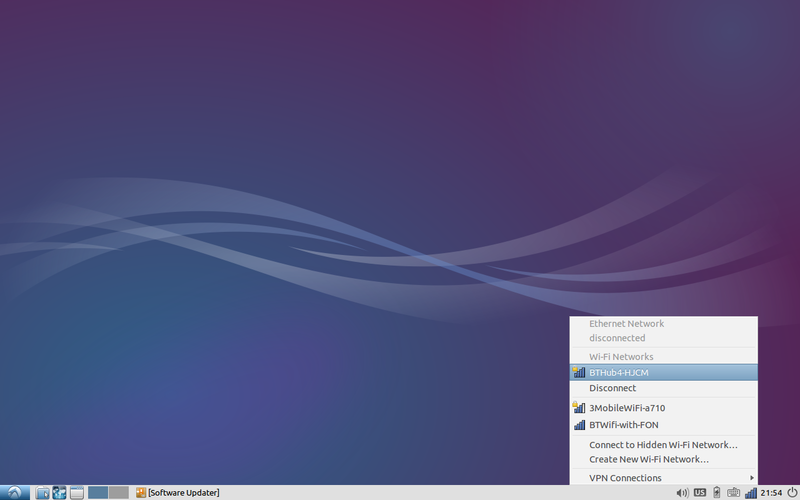 Click on the “Network” icon in the bottom right corner and a menu will appear showing your wired and wireless networks. If the network is secure you will be asked to enter the security key. The ISO you downloaded from the website will almost definitely be out of date and therefore as soon as you install Lubuntu you should update your system. The first thing the updater will do is check to see whether you have any updates that need to be applied. If your system is already up to date then you won’t have to do anything but if it isn’t then a window appears saying how big the download is. You can click the details button to see what the updates are. Click “Install Now” to install the updates. When all the updates have been installed you will need to restart your computer. If you try to listen to MP3s or play Adobe Flash videos on your computer after installing Lubuntu then you won’t be able to do so. Additionally if you want to use common fonts used on other operating systems then you won’t be able to. In order to be able to do any of these things you need to install the Lubuntu Restricted Extras package. You need to be connected to the internet before doing this. 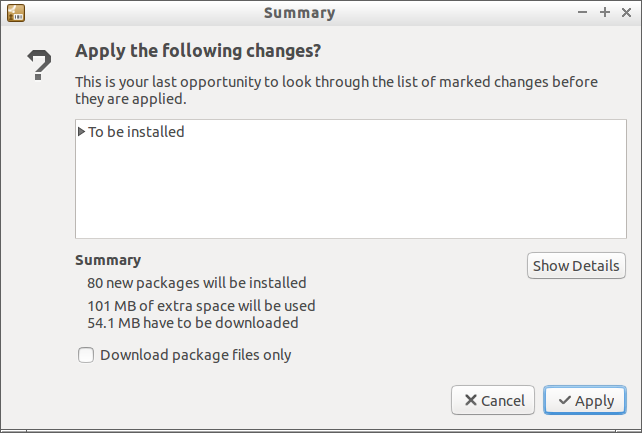 There are lots of ways to install packages within Lubuntu including but not limited to using the Lubuntu Software Centre, using the Synaptic Package Manager or using the command line tool apt-get. 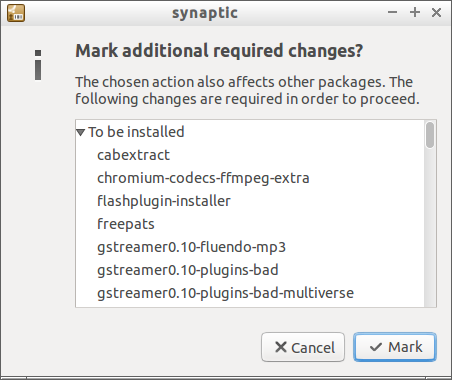 I don’t find the Lubuntu Software Centre very useful and so I prefer to use the Synaptic Package Manager. To run the package manager press the menu icon in the bottom left corner and select “System Tools -> Synaptic Package Manager”. The Synaptic Package Manager doesn’t look very pretty but it is fully functional and that is what counts. The first thing you should do is click the “Reload” button. Doing this will make sure that when you search for software you get the most up to date list of software available. After reloading, enter “Lubuntu Restricted Extras” into the search box and click “Search”. As you can see from the screenshot above there are two items returned. Right click on the lubuntu-restricted-extras package and choose “Mark selected item”. You will be provided with a list of other packages that will be installed along with the restricted extras package. Now click “Apply” to install the packages. A message will appear showing the details of the installation. Click “Apply” to continue. 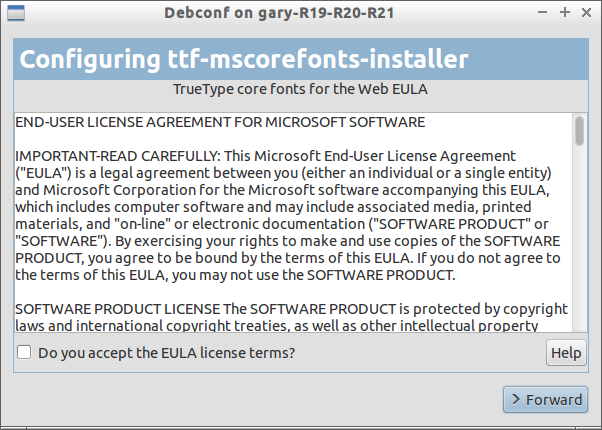 During the installation a license agreement will appear for the installation of fonts. Click the checkbox to accept the agreement and click “Forward”. The restricted extras package will now be installed. If you live in the UK then you will have probably chosen London as your location when installing Lubuntu. Unfortunately when you look in the bottom right corner you will see the US flag. If you open an application like Abiword (the default word processing application) then you will notice that the £ symbol appears as a #. In the system notification area you will see a little keyboard icon. Right click this icon and choose preferences. 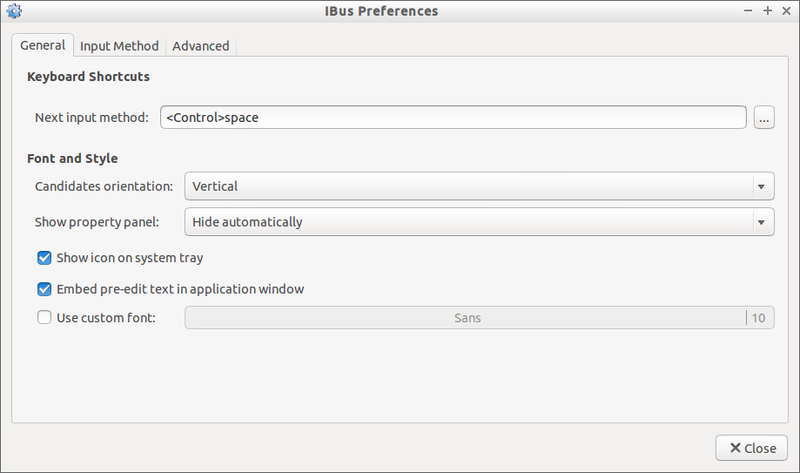 The iBus Preference screen will appear. Click on the “Input Method” tab. Check the box that says “Customise active input methods”. Now select the language you require in the drop down and click “Add”. Your US icon should now change to a UK one. Test out Abiword again and try out the £ symbol. It should be fine. A novelty one to finish with. I find the Lubuntu default wallpaper glum and boring. 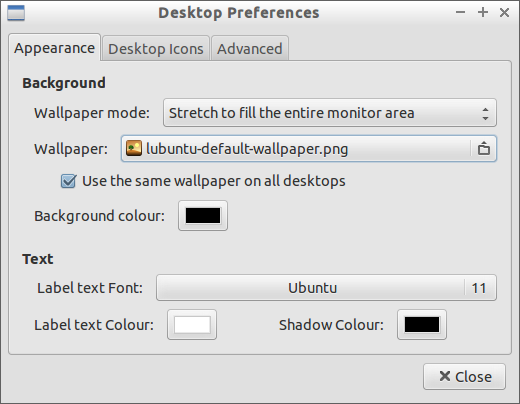 To change the wallpaper right click and choose “Desktop Preferences”. 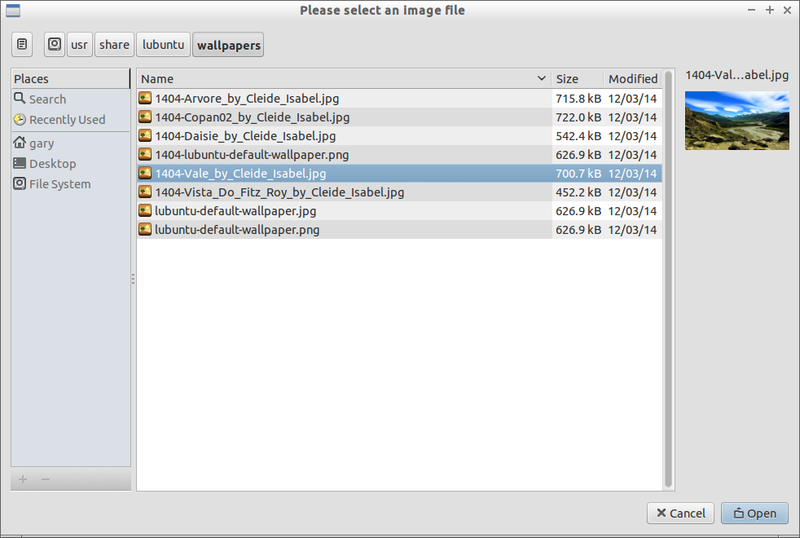 To change the wallpaper click on the folder icon next to the wallpaper’s name. 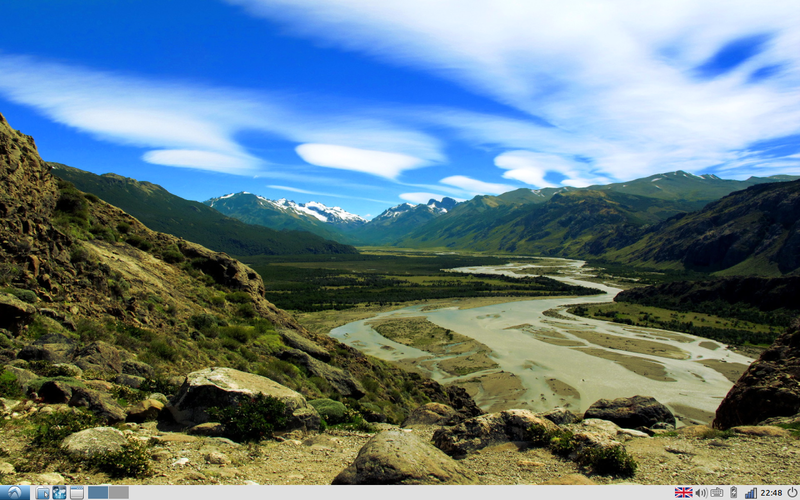 Lubuntu 14.04 comes with a few nice wallpapers to begin with. You can choose any of these by clicking on them and selecting “Open”. Scrolling through the list brings up a preview in the top right corner. You can add some default icons to your desktop. Click the “Desktop Icons” tab. The “Documents” folder is where you will be storing all your documents. The “Trash Can” is the same as the Windows Recycle Bin. Click here for more information on customising the Lubuntu desktop. In the comments section a link was added showing how to customise keyboard layouts for LXDE. I felt is was worth promoting up into the main article. There are other things that you can do in the aftermath of installing Lubuntu but they are less necessity and more preference based. In a later article I will show you how to do some other things such as setting up Dropbox, STEAM, play Windows games and improve on some of the default applications. 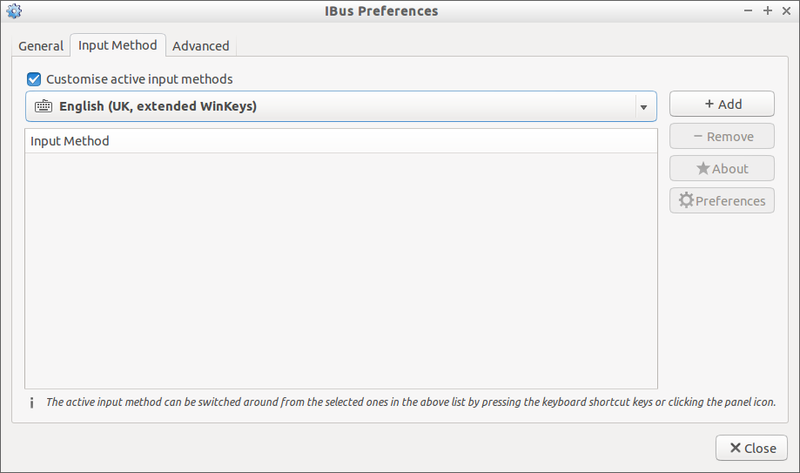 Here is an extended version of how-to for keyboard configuration in LXDE, including Lubuntu. Thank you for the tips. This makes indeed Lubuntu 14.04 a more pleasant experience! Thanks I am using LXDE on a old laptop and this has helped a lot. Is it safe to install the latest LXDE (panel, task session etc.) in 14.04?